Come along - learn something, see something in the U.S. Navy Ample shore leave for inland sights. Artist : Daugherty, James Henry, 1889-1974. 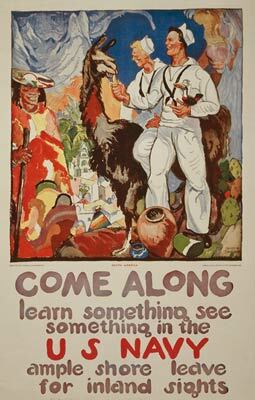 Poster showing two sailors as tourists in South America, riding and feeding bananas to a llama. 1919.